With Backstore, even the complex pricing policy can be a child's play. Find out how you can easily set up complex pricing policies using Backstore. 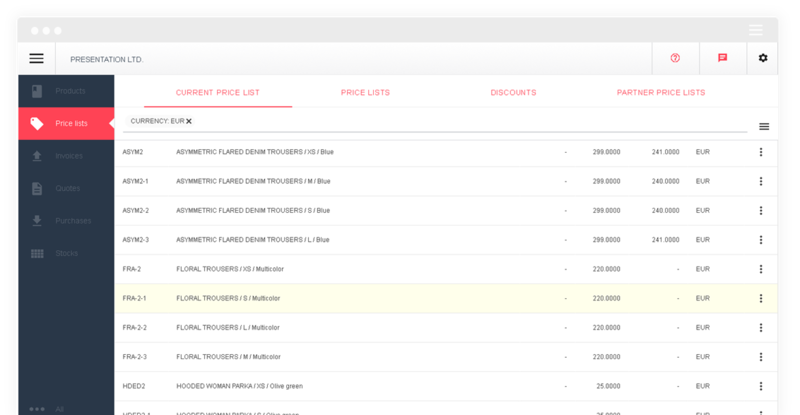 Use default pricing as a simple solution or create multiple wholesale and retail price lists (suitable for larger companies). You can easily recalculate margin with every purchase and make adjustments in pricing if needed. Set prices in multiple currencies and Backstore will apply the correct price on quotes and invoices. Create one-time discounts for specific product or entire category. Set beginning and the end of discount period. Set up different pricing policy for your loyal customers and let Backstore apply correct prices on quotes and invoices. Speed up recording of purchase orders by creating purchase price lists. Create multiple price lists by product categories and currencies. Set price changes in advance and let Backstore apply the correct price on invoices and quotes. Group your customers and set up special price lists. Quickly create one-time sales with starting and ending dates. Always be well informed about wholesale and retail margin when setting prices and discounts.